Abadia | We produce sanitary ware casting plants and steel structures. Complex development and delivery of casting systems for sanitary ware. Design and fabrication of resin moulds for pressure casting. 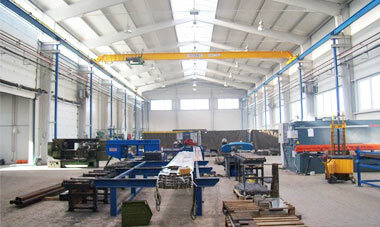 Abadia was the main supplier of steel structures for unique laser center. 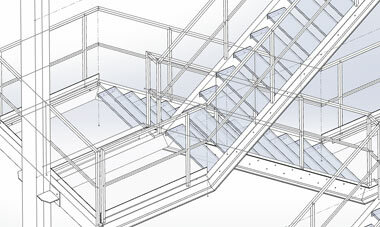 We have delivered two structures under the weight of 6500 kg and 5200 kg including railing, ladders and beams. We will meet your needs. Abadia provides complex services in the field of sanitary ware casting and the production of welded steel structures for mechanical engineering and building industry . Each year, we carry out dozens of contracts precisely tailored to our clients. Don’t hesitate to contact us with your inquiry. We produce sanitary ware casting plants and steel structures. For each contract, our technical staff compiles complex manufacturing documentation respecting the wishes of our customers as well as the technical standards. Our products are manufactured in our own production hall which is equipped with modern devices. The production itself is carried out by certified and regularly trained production personnel. 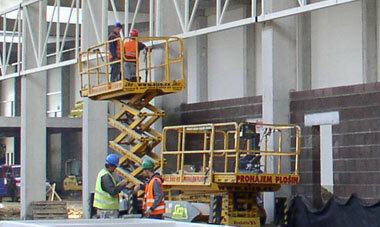 Assembly works are carried out by trained and experienced workers. We perform assemblies across the entire Czech Republic as well as in neighboring countries.